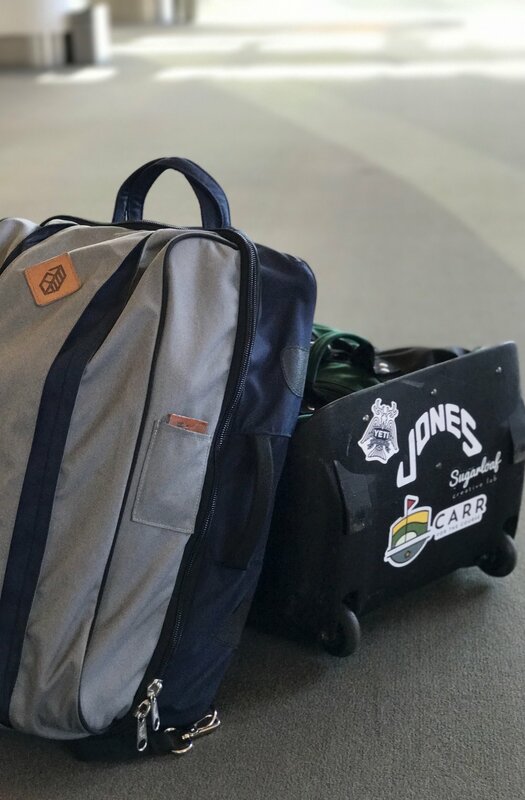 Have clubs, will travel with the Jones Weekender. After a quick flight from Northern Kentucky (shoutout #CVG), I arrived in Milwaukee just in time for dinner. As far as travel goes I am a fan of immersion through local food and drink. 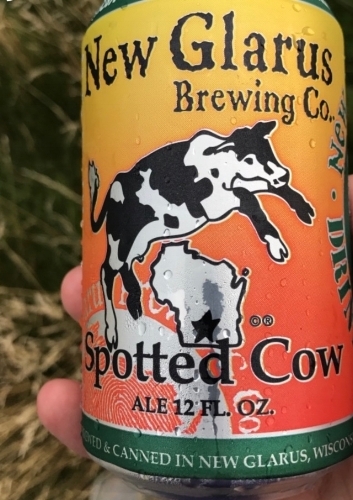 So naturally my drink of choice for the trip was Spotted Cow*, a lovely beer that can only be found in the state of Wisconsin. Accompanied by a hearty steak at Mo’s, this made for an excellent first night in Milwaukee. Once we'd had our fill we plotted out the next few days’ adventures. It was hard to sleep knowing what was on the horizon. The next morning we picked up B.Y., our fourth, from the airport and headed for Erin Hills, with a quick pit stop at a sporting goods store to buy a tarp for the truck thanks to some impending thunderstorms. The drive from Milwaukee to Erin is a breeze through rolling fields and country roads. 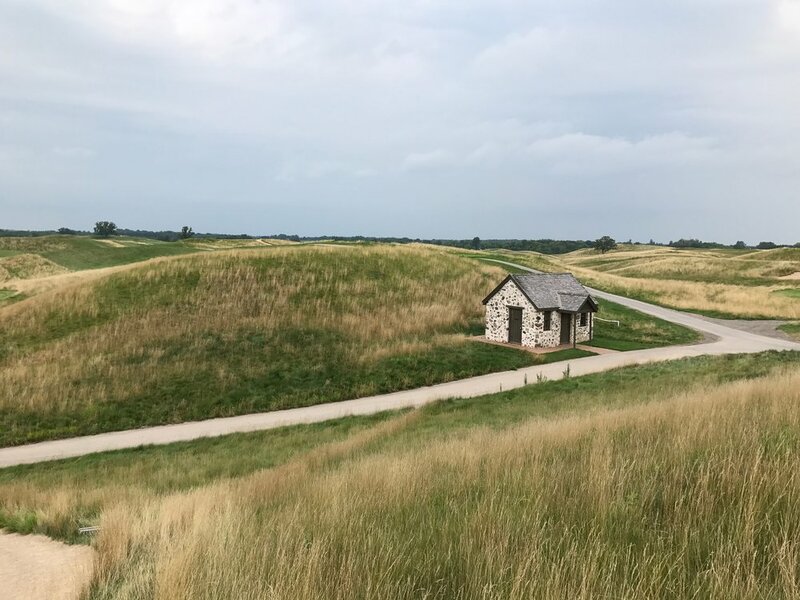 Nowhere near as remote as Bandon or Streamsong, Erin Hills is the perfect combination of remote and accessible. After lunch we sauntered back into the proshop. 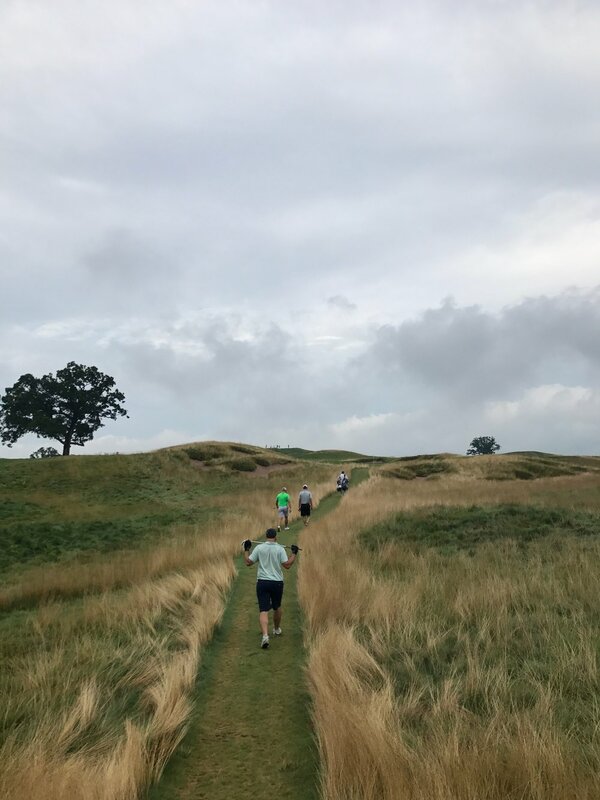 I enjoy browsing the proshop at bucket list courses and Erin Hills didn’t disappoint. They had a good mixture of classic and modern options and even a few things to pick up for the kids. I had my eye on more than a few items (it helps when the logo is that good) but settled on a Seamus Golf ball marker. 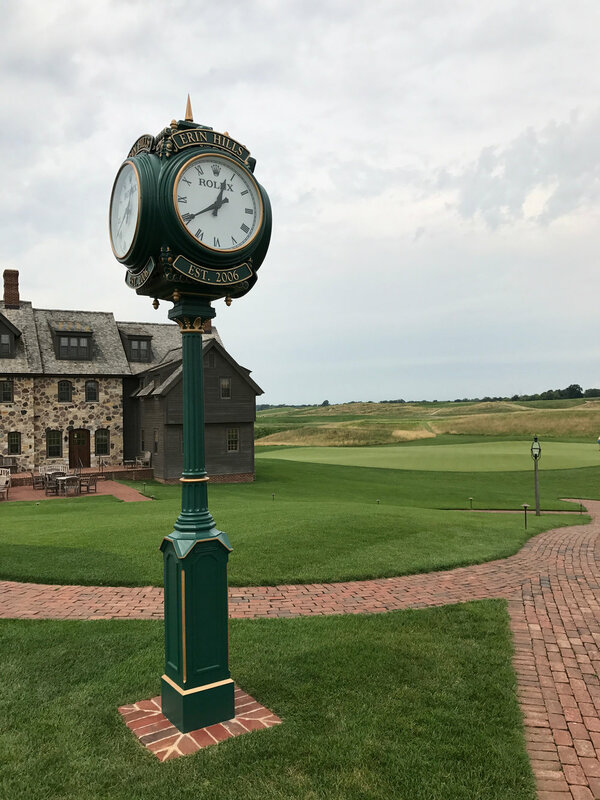 If you follow me on the Instagram you know I am a Seamus loyalist and the Erin Hills ball marker is yet another example of their fine work. Seamus Golf on the mark. Speaking of work, it was time to get to the range. It feels like nitpicking but I was not a fan of the Erin range. The hitting area was backed up against a hill and the bays were borderline claustrophobic. The chipping area, on the other hand, was great. It mimicked the conditions of the course, preparing me for the tight lies around the greens that were to come. The putting green was expansive and undulating and I made a point to take some extra lag putts knowing I’d be a healthy distance from the hole on more than one occasion. We chose to reserve caddies for the round and from the outset I could tell that was a wise decision both from a course management perspective and the physical toll. The round was split up into three distinct acts: the introduction, the storm, and the big finish. I’ve never see such wide fairways look so intimidating. The first hole moves to the left but bite off more than you can chew and you’ll find yourself in OB. Bail out right and your lay up may require a lay up. Into the wind it was a three shot hole for me. A rather bold introduction. The second hole provided multiple options off the tee and our group utilized several of them. Our approach shots varied from full 7 iron to half wedge. Holes 3 and 4 were both demanding and brought more sand into play than your group would have liked. As our group stepped to the tee on 5 the horn sounded. The storm was upon us. A quaint little shelter behind the 6th green. The nearest shelter was adjacent to the 6th green. A smattering of players and caddies gathered around the “shelter” to wait out the lightning. After 45 minutes we were back at it but the weather was significantly worse. A steady to heavy rain fell for the next 9 holes but the course remained playable and fun was still had. Punishing bunkers and operator error caused me to take the road less traveled and at times it proved to be more about survival with a smile. As the rain dissipated we found ourselves in the home stretch. I took on the 14th hole and found myself in a bit of a jam with my 4th shot straight up the hill. Erin can punish the bold. The 15th required less than driver, calling for some creativity and short game prowess. The 16th and 17th played longer than the scorecard, preparing us for a tough finish. The 18th, unless your initials are J.T., was not gettable, walking away with par felt good. The walk back to the clubhouse is a steep one but allows for one last glance at the big ballpark that is Erin Hills. My lasting impression of Erin is its size. Erin is big in every sense. At times you feel small amongst the rolling hills and wide fairways. 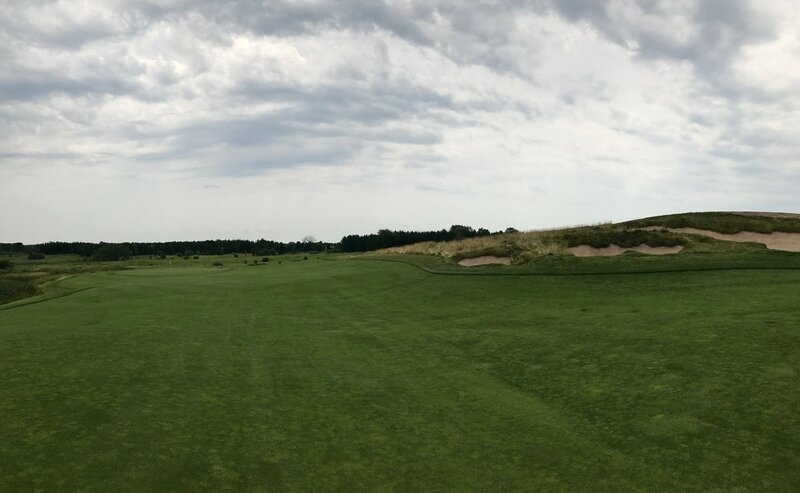 I appreciated the opportunity to play a US Open course so soon after it played host. I would happily recommend Erin and look forward to visiting again soon. The sun sets on Erin Hills. Slightly drenched and tired our group looked to end our first full day in a very Wisconsin way - at a supper club. For those of you who have never been to Wisconsin a supper club is a product of prohibition. When prohibition was repealed, liquor licences were granted to establishments outside city limits that served food. Thus the supper club was born. That evening we chose to dine at Walden, a supper club nestled on Wallace Lake on the outskirts of West Bend. I can only speak to the wonderful ambiance and hospitality of Walden but if it is any indication of what a supper club is then the world needs more supper clubs. Walden’s felt like a time warp. Any use of technology beyond a radio felt out of place. We were immediately recognized as tourists but not in a bad way, we were celebrated guests. Fellow diners came up to us and asked where we were from and why we were passing through. The food was the very definition of comfort. 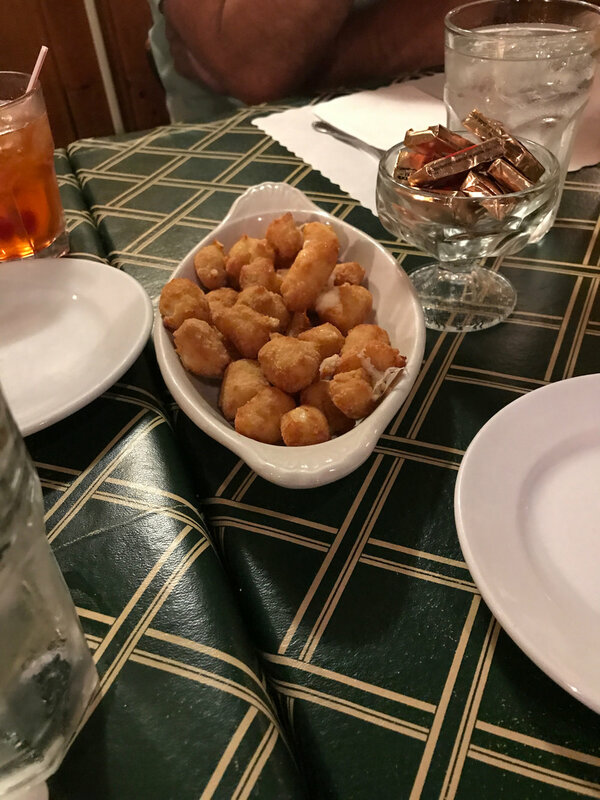 The soup was hot, the cheese curds were fresh, and the prime rib was generous. I can’t recommend the supper club experience enough. From there we navigated 45 miles of backroads to Sheboygan for a much needed rest and a chance to dry out our gear. *Disclaimer: This post is not endorsed by New Glarus Brewing Company, however if New Glarus is looking for a blog to sponsor I’d be happy to oblige. Moo.